Stylish bag from PIECES. The bag is made of faux leather and has a spacious main compartment. 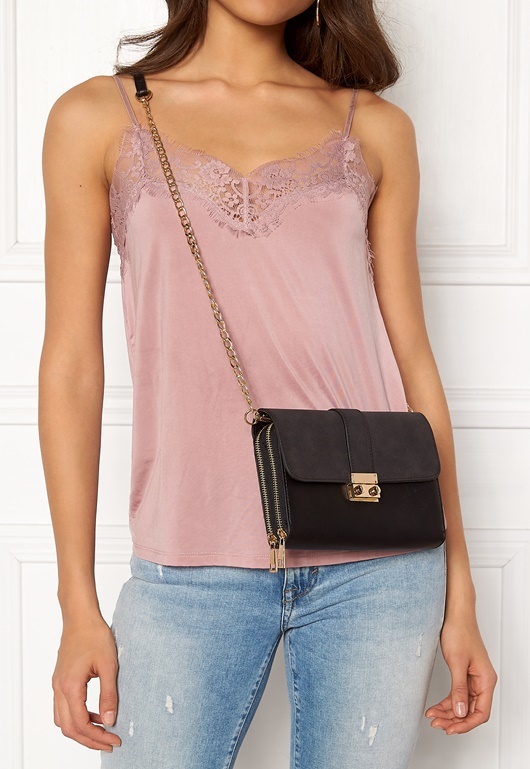 - Large compartment with gold color buckle closure - Two open inner compartments with zippered closure - Holds up to four cards - Shoulder strap with gold color chain (detachable) Length 21.5 cm, height 15 cm, width 4 cm, length of shoulder strap 113 cm.